CHICAGO (April 2, 2018) – Hyatt Hotels Corporation (NYSE: H) and AC Ocean Walk today announced that a Hyatt affiliate has entered into a franchise agreement with AC Ocean Walk for the 1,399-room Ocean Resort Casino located at 500 Boardwalk, Atlantic City, N.J. The $3 billion landmark property, which was recently acquired by AC Ocean Walk, will join The Unbound Collection by Hyatt brand, Hyatt’s growing collection of unique and independent stay experiences. 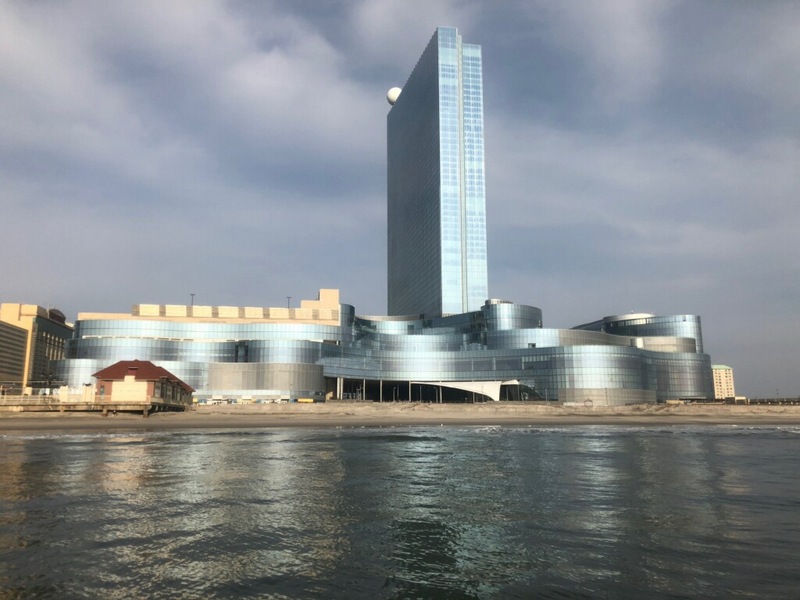 The resort will be situated on 20 acres on the famed Atlantic City Boardwalk, and at 710 feet and 60 stories tall, will be the tallest structure in Atlantic City. It is expected to open in summer 2018 and will be operated by AC Ocean Walk. Ocean Resort Casino will be the eighth hotel in North America to open as part of The Unbound Collection by Hyatt portfolio, which launched in 2016, joining the recently opened Holston House Nashville in Nashville, Tenn., The Bellevue Hotel in Philadelphia, and Spirit Ridge in Osoyoos, British Columbia. The Eliza Jane in New Orleans is expected to join the portfolio, when it opens this spring. In addition, The Unbound Collection by Hyatt properties include The Driskill in Austin, Texas, Royal Palms Resort & Spa in Phoenix, The Confidante in Miami Beach, Fla., Hotel du Louvre in Paris, and Carmelo Resort & Spa in Uruguay. “It is an honor for us to join forces with one of the world’s most renowned hotel brands: Hyatt. Hyatt has an incredible 60-plus-year legacy in the industry, and its loyal global customer base will have access to an authentic way to experience all that makes Atlantic City attractive and popular. We are thrilled and proud to be joining The Unbound Collection by Hyatt portfolio as we prepare for the resort’s opening this summer,” said Bruce Deifik, chairman of AC Ocean Walk. Ocean Resort Casino was purchased by AC Ocean Walk in January 2018, and has started an extensive hiring program which is expected to bring 2,500-3,000 new jobs to Atlantic City. Recently, The Unbound Collection by Hyatt brand announced a new hotel development in Hollywood, Calif., slated to open in 2019, and that the iconic Grand Hyatt Cannes Hotel Martinez in Cannes, France will re-open in spring 2018 under the brand as Hotel Martinez. For more information, visit www.theoceanac.com and unboundcollection.hyatt.com. The Unbound Collection by Hyatt brand is a portfolio of new and existing upper-upscale and luxury hotel properties, ranging from historic urban gems to contemporary trend-setters, boutique properties to resorts, and private home accommodations. Whether it is a fascinating past, an exclusive location, famous architecture and design, or an award-winning dining experience, the properties in the collection provide guests with “social currency” and allow them the freedom to be unique. Current hotel properties include The Driskill in Austin, Texas, The Royal Palms Resort & Spa in Phoenix, The Confidante in Miami Beach, Fla., The Bellevue Hotel in Philadelphia, Holston House in Nashville, Tenn., Spirit Ridge in Osoyoos, British Columbia, Hotel du Louvre in Paris (under renovation) and Carmelo Resort & Spa in Uruguay. For more information, please visit unboundcollection.hyatt.com. Follow @UnboundxHyatt on Facebook and Instagram. AC Ocean Walk is owned and managed by Integrated properties, a Denver-based commercial and real estate development company, formed by Bruce and Nancy Deifik in 1990. The company manages assets, property, leasing and disposition of the commercial property portfolio of Deifik and his investment partners. Since its inception, the company has acquired more than 103 commercial properties including mixed-use, office, retail, hotel/casino, apartment and warehouses in California, Colorado, Florida, Massachusetts, Nevada and Texas. The company’s real estate portfolio encompasses more than 8.5 million square feet and specializes in urban mixed-use development. Exhale, a leading wellbeing brand, revolutionized the spa + fitness industry in 2003 with a unique business model that addresses both mind and body through spa + fitness. Dedicated to transformation, mindfulness and healing, exhale has 25 locations in the U.S. + Caribbean offering dozens of proprietary boutique fitness class programs and award-winning healing + spa therapies. For more information, please visit www.exhalespa.com. Forward-Looking Statements in this press release, which are not historical facts, are forward-looking statements within the meaning of the Private Securities Litigation Reform Act of 1995. In some cases, you can identify forward-looking statements by the use of words such as “may,” “could,” “expect,” “intend,” “plan,” “seek,” “anticipate,” “believe,” “estimate,” “predict,” “potential,” “continue,” “likely,” “will,” “would” and variations of these terms and similar expressions, or the negative of these terms or similar expressions. Such forward-looking statements are necessarily based upon estimates and assumptions that, while considered reasonable when made, are inherently uncertain, and are subject to numerous assumptions and uncertainties, many of which are outside of Hyatt’s control, which could cause actual results, performance or achievements to differ materially from those expressed in or implied by such statements. Forward-looking statements made in this press release are made only as of the date of their initial publication and neither party undertakes an obligation to publicly update any of these forward looking statements as actual events unfold, except to the extent required by applicable law. If one or more forward-looking statements is updated, no inference should be drawn that any additional updates will be made with respect to those or other forward-looking statements.